Fish oil, cod liver oil, krill oil, borage oil, flaxseed oil, Udo’s oil, Evening Primrose Oil and the list goes on……So which oils do we choose? How do we choose Essential Fatty Acids (EFAs)? Ideally, we get our source of essential fatty acids from our diets. However, our children require higher amounts as well as issues with fat malabsorption. Some kids like mine are extremely picky eaters and eat a very limited variety of healthy foods. Our body needs essential fatty acids, this can only be derived from our diet. If our diet is not adequate in EFAs, then we have to supplement it. Children with Autism particularly benefit from added Omega 3s. Studies suggest that ASD patients have lower levels of Omega 3 fatty acids and too high levels of Omega 6 sometimes which is imbalanced. Many parents report overall improvement on fish oil supplements alone. For my girls, I didn’t notice any major improvements on fish oils particularly, though it helped with May’s eye stimming. We keep going because the benefits are enormous. Supplementing Essential Fatty Acids is not an autism treatment per se. EFAs help with mood, behavior, cognition, brain development and inflammation to name a few. Omega 3 contains EPA and DHA. Both are essential. Basically EPA helps with mood and behavior. People who suffer from depression will benefit from additional EPA. DHA however is essential for brain function and concentration. Some children will require one more than the other. However for both my girls, I supplement them with a fish oil that has high amounts of both. Cod liver oil and other forms of fish oils contains Omega 3. The main concern with all forms of fish oils for me and many other parents is the risk of mercury contamination. This is why I only buy fish oils that are certified mercury-free. If it’s not in the product literature or assured by the company, then personally I wouldn’t use it. Plant based oils such as flaxseed and Udo’s oil is another source of essential fatty acids which are naturally mercury-free. Udo’s contains coconut oil, soy lecithin and trace amounts of gluten which may not be suitable for some children. Flaxseed oil is ALA, in which a healthy body will convert to Omega 3. Unfortunately, many children with autism are not able to convert this efficiently. Generally, women convert ALA into Omega 3 better compared to men. Evening Primrose Oil is a type of Omega 6 which is GLA. Evening Primrose Oil is particularly beneficial for women who suffer from pre-menstrual syndrome. It also helps with eczema. How do I choose which source of EFA? Which brand you choose is a personal choice. In autism treatment, our children generally require Omega 3’s DHA and EPA. So when choosing, firstly check the ingredients list in case of allergies or intolerance to a particular ingredient. Secondly, if choosing fish oil, make sure it is certified mercury-free. Next, please compare the amount of DHA and EPA provided per serving. Consider if you require more DHA than EPA, or whether you need a high amount for both of them. Whether you choose liquid or gel caps depends on your child. At times, I have also pricked a gepcap with a sharp needle and squeezed out the oil when I can’t find a liquid version. Also choose which flavour such as lemon or strawberry flavoured your child might prefer. 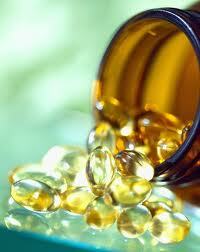 Most fish oils contains Vitamin D3, some with added amounts. Some formulations contain Vitamin E, which may be soy derived. But this form of Vitamin E is suitable for those on a soy-free diet. Most fish oils naturally contains Vitamin A, though some extract the Vitamin A during the process. Some replace it with synthetic Vitamin A, some don’t. The Vitamin A in fish oils have helped many children with eye stimming such as looking out of the corner of their eyes. Which brand do I use? We have used Efalex, Kirkman’s Fish Oil, several different types of Nordic Naturals and Eicosamax Liquid by Prothera. We finally settled on Eicosamax because the girls can tolerate the taste. The girls don’t like the taste of the other brands. Sometimes you gotta choose based on convenience. Though the high amounts of EPA & DHA are a bonus too. Generally, I like to rotate different brands and formulations. Some of the favourite brands used by parents I know are Nordic Naturals, Kirkman’s, Omega Brite and Eye-Q. Many children require both Omega Brite AND Pro DHA to support their needs. Can we use Efalex by Efamol? For me, I stopped using Efalex once I was able to find certified mercury-free sources of fish oil. Though a salesperson will say it’s mercury-free, I’d feel a lot better if I know it is certified to be mercury-free, especially when there are other brands that can guarantee it. It’s not stated on Efalex’s label btw. Also, Efalex is made up of tuna oil and evening primrose oil (EPO). Apart from my own personal issues with tuna, evening primrose oil should be taken in moderation if at all. During several years of biomed and many doctors, we were told again and again on the importance of Omega 3 ie. DHA & EPA. Only ONCE in that entire time were we told to use Evening Primrose Oil for 2 months only for my 2nd daughter Min. My eldest daughter May was never told to use EPO. Efalex provides only EPA 35mg & DHA 130mg per serving compared to Nordic Natural’s Omega 3 capsule which contains EPA 330mg & DHA 220. 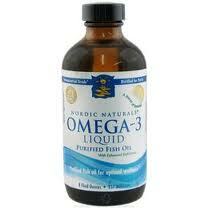 Nordic Natural’s Omega-3 LIQUID contains even higher amounts, EPA 825mg & DHA 550mg!! So even though you think Efalex is cheaper, in the long run you’re getting much less for your money. The EPA amount is too little for my taste. 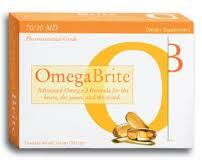 Compare it to Omega Brite’s 7:1 ratio which some children need, it carries EPA 350mg & DHA 50mg. Generally, liquid forms provide higher amounts of EPA & DHA compared to capsules. How do I feed fish oil to my child? Some children are compliant to taking the oils directly from the spoon or syringe. Some kids are fortunate enough to be able to swallow the soft gelcaps. Some children prefer fish oil mixed into their foods. Certain brands have chewable gelcaps. For us, I used to add them to the bottle of rice milk. I started with 1/4 dose per bottle, once they got used to the taste, I can either do 1/2 dose per bottle or full dose per bottle. Sometimes it depends on the flavor, most fish oil brands have lemon, orange or strawberry flavour. Though for my girls, no matter what flavour they are, they still smell too strong. Lemon flavour seems to be the most popular unless your child prefers berry flavours. Flaxseed oil can taste quite strong too. Evening primrose oil is quite pleasant tasting. Fish oil is one of the first supplements that are safe to start on. It is best to store fish oils in the refrigerator to preserve freshness. I myself take fish oil daily, I notice improved mood, I feel generally better and happier. Unfortunately, I always do a huge fishy burp half an hour after taking it! My girls smells fishy after they take their fish oil too. Even the lemon flavoured ones smells like fishy lemony burps……I sometimes call them Sushi Burps. So far, hubby hasn’t complained. After all, even David Beckham has fish breath! This entry was posted in autism, biomedical, EFA, fish oil, malaysia, omega 3 by Admin. Bookmark the permalink. Do you mean to say it is “suitable” or “unsuitable”? That means it is suitable / ok / fine for those on soy-free diet. The Vitamin E is derived from soy, but it does not contain the soy component (soy protein I think) that our kids have issues with. Hi, you mentioned brands such as OmegaBrite, Nordic Naturals, etc and you are based in Malaysia. Where did you purchase those fish oils? Joey, you can get it from iherb.com with a $5 discount off for first time customers using the discount code TUN147.